I thank all the farmers for this bounty. 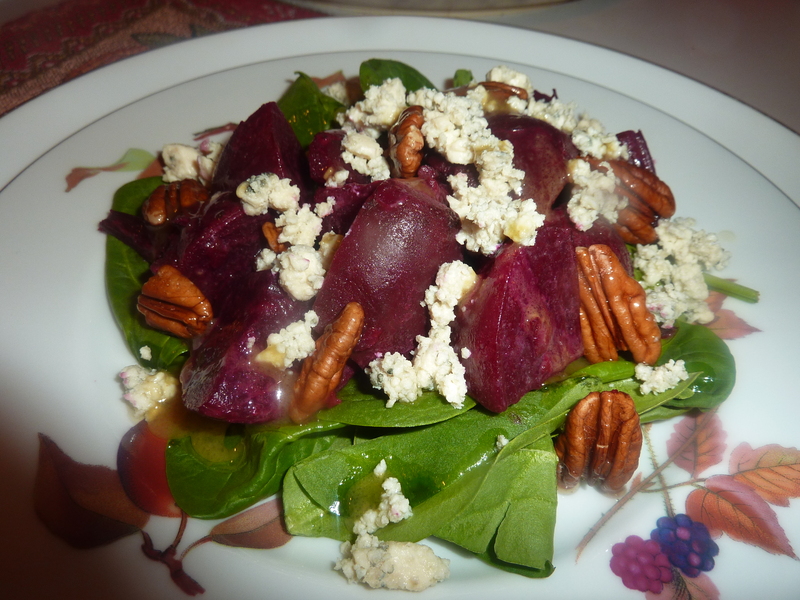 Four of my favorite things, spinach, beets, Gorgonzola and pecans. There is no way this can go wrong.